The most popular movie in recent history comes to your next birthday party! Join Anna, Elsa & Kristoff in your own little adventure! 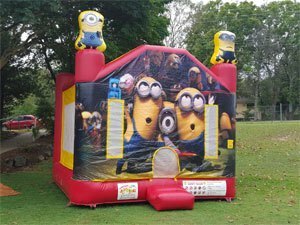 Our brand new Minions bouncy castle is bright & bold as are the small yellow minions creatures displayed all over this bouncer! Escape to a tropical island, join all of the wild animals and go surfing in the open seas. Your own tropical bouncing oasis awaits! 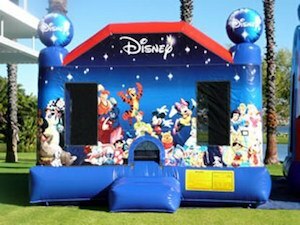 Disney magic right in your backyard! The entire cast of characters is here including Dumbo, Tigger, Snow White, Pinocchio, Mickey & more! Woody, Buzz & Jessie are your gang for the day. 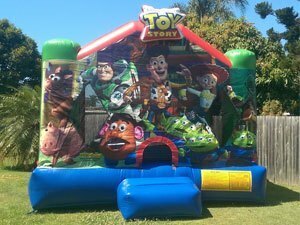 Join them in your own private adventure inside this exciting 4 x 4 Toy Story bouncy castle! 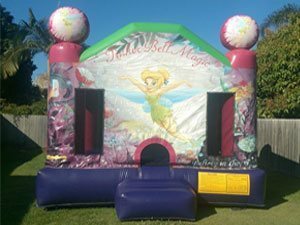 Spread some fairy dust around with your own Tinker Bell fairy jumping castle for the day. Gorgeous addition for any birthday! 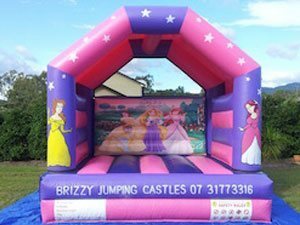 A must have for every little princess and her princess party! Beautiful princesses, stars and colours will bring her day to life! 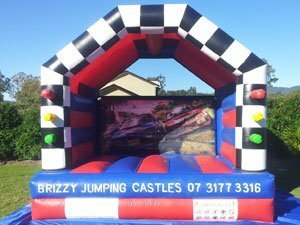 Every boy loves racing cars and here's their chance to bring the fast paced action to their very own backyard birthday party! 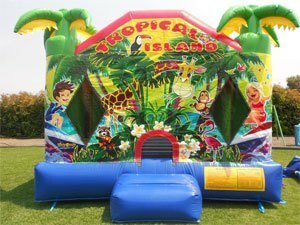 Party with our Celebrations jumping castle - the perfect neutral theme for any event where a good time is required! Ahoy me matey's! Join the wicked pirates in their journey for treasures across the seas. Bring your eye patch and get ready to sail the seas! 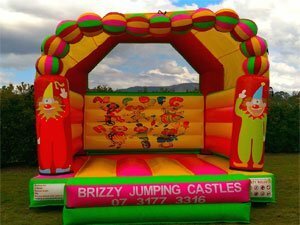 Join the crazy clowns at the circus - this super bright and fun bouncy castle will keep everyone entertained, no matter the event! 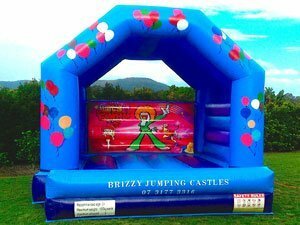 Medium jumping castles measure 4 metres x 4 metres and are a great entry level jumping castle for any type of event. 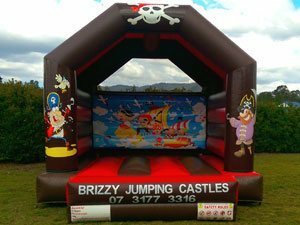 If you're on a budget, this is the bouncy castle for you! 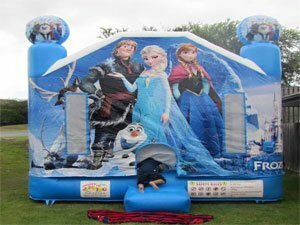 Lots of themes to suit boys, girls and mixed parties, our medium sized jumping castle range is suitable up to 12 years.